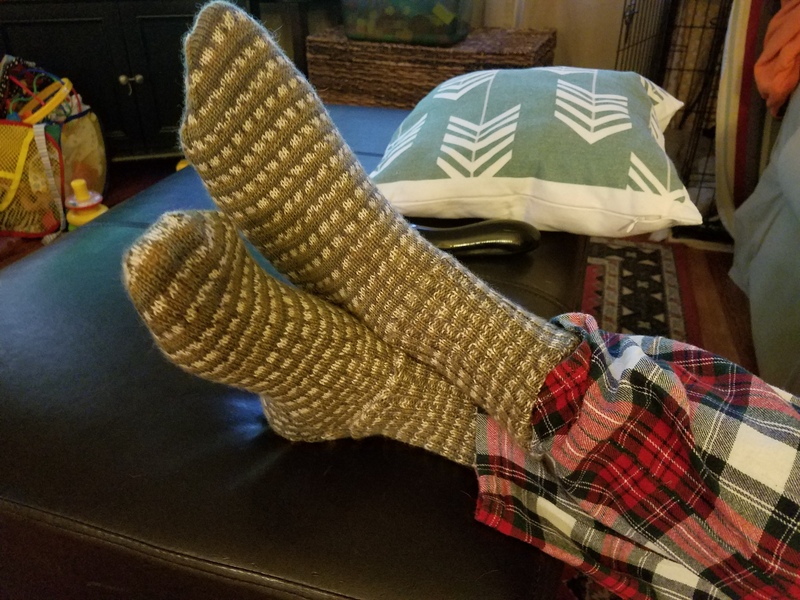 After 5 years of marriage and 2 kids together I finally made John a pair of socks. He is already a fan and wearing them even though it is ridiculously hot out. I love how the stripes turned out. I went with a ribbed leg, and the socks actually stay up on John’s chicken legs.